The wait is over! 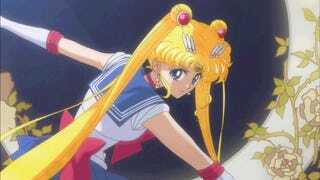 Sailor Moon Crystal, which you might know as the new reboot of the Sailor Moon anime, is now officially streaming. You can start watching it now, right here. Three choices. You can either watch it via Hulu, embedded below, or you can watch it over at Crunchy Roll. You can also watch it on NicoNico, if you'd like, though the quality doesn't seem that hot. Your choice!